Circular, Flat, Socks and Collar Machines. 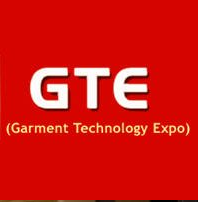 "Garment Technology Expo, one of India's largest events committed to apparel technology in India is going to hold it's another edition from August 18th to 20th, 2018 at Dr. Prabhakar Kore Convention Center, Tumkur Road, Bangalore - INDIA. " "The event is being organized by Mr. Inderjit Sahni, Mr. Ambrish Chopra, Mr. Ricky Sahni and Ms. Rathi Sahni has vast experience, and has been the major force in holding similar events in the past. Mr. Sahni believes in the philosophy of "BEST TODAY STILL BETTER TOMORROW". " Hangers, Woven Tapes, Woven & Printed Labels, Plotter Papers. Dyes & Chemicals, All kinds of Machine Parts & Accessories and Raw Materials . Computerised, Industrial, Overlock, Flat Lock Machines and Spares.